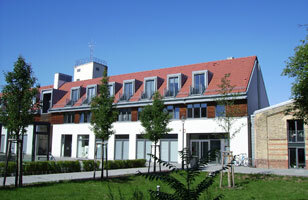 The Centre for Contemporary History (Zentrum für Zeithistorische Forschung – ZZF) is a research institute für German and European contemporary history in the twentieth century and its impact on the present. As a member of the Leibniz Association, its basic endowment is funded half by the federal government and half by the states. Added to this external funding acquired by the institute or research projects. The ZZF works with numerous universities and other research institutes in Germany and abroad, and has an international visiting-scholar program. It is linked to the University of Potsdam and Humboldt University in Berlin by joint professorships, and cooperates with a range of other institutes of higher learning in research, teaching and training a new generation of scholars. Regimes of the Social Sphere. Alongside basic research, the central tasks of the ZZF are providing research infrastructure and promoting knowledge transfer.